[Support request] How to add custom icon on blog archive? Home › Forums › Pro Support › How to add custom icon on blog archive? This topic contains 5 replies, has 2 voices, and was last updated by Tom 4 months, 3 weeks ago. 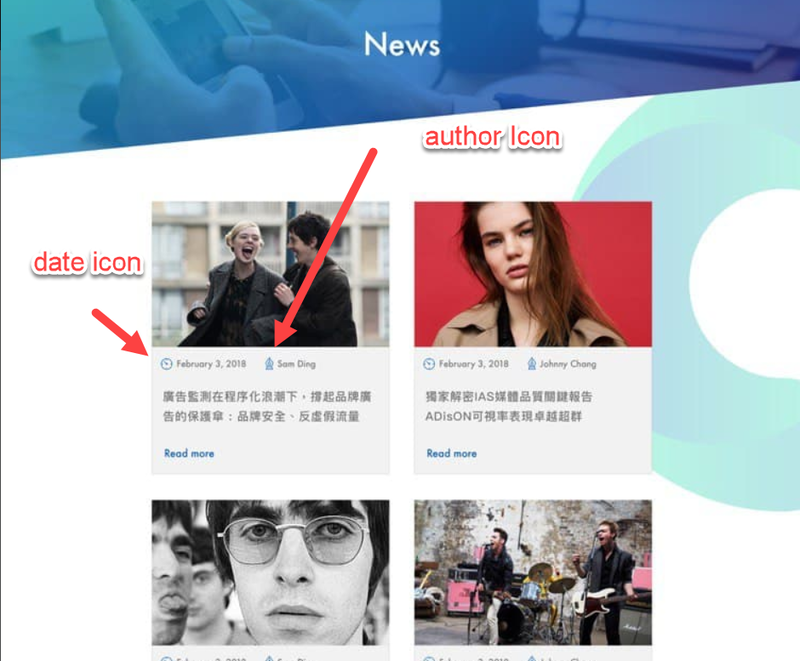 I want to add date and author custom icon on blog archive? You’d need to have that icon font uploaded to your child theme. If I want to use my image on the wp dashboard’s media. This reply was modified 4 months, 3 weeks ago by Chao. (1) Is it possible to change the order between author and date? Currently it is author first and date second but I want to let date first and author second. (2) I want to let image fullwidth and the content area have margin. Is it possible? Currently, I saw I can’t tweak separately. (3) How to let pagination center ? Could you tell me which class? 3. Looks like you got it centered?